He is a doctor in a university hospital. He comes from a humble background, but he was able to survive with his skills and personal charms. His father, who was convicted 17 times, was in prison when he was born. Upon the birth of his son, he made a resolution to become a new man. However, a leopard cannot change its spots, and he goes in and out of prison incessantly. There were times when Ije was ashamed of his criminal father and hearing-impaired mother, but he never hid them. Three years ago, he tried to save a pregnant woman with a disability who was in a car accident. But because of Lee Jaehwan, the son of the chairman of the hospital, he was wrongfully accused of medical malpractice and gets ousted from the hospital. He even got his license suspended without being able to properly treat the patient. 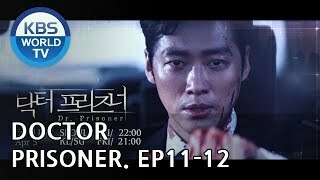 Ije realizes that Lee Jaehwan is just one guy in the corrupt system, and he is not the ultimate target of revenge. Na Ije makes his bid for victory by applying for chief medical officer position in prison, where he plans to make personal connections with all the big shots in prison, including business tycoons, ex-president, celebrities and sports stars. Han Sogeum is a psychiatrist with a warm heart. She works at Taegang Hospital and volunteers in prison. Growing up, her father's company went bankrupt and her parents got divorced. Despite having to look after her incompetent mother and her brother with anxiety disorder, she was always full of lively and cheerful energy. But everything changed when her little brother Han Bit disappeared in prison without leaving any traces. She volunteers in prison to trace her brother's whereabouts, but the secret is hushed up by the chief medical officer, and the truth is always behind bars. Then, Na Ije applies for the chief medical officer position and reaches out to her to form an alliance. She decides to fight at his side in his lonely battle. He is the outgoing chief medical officer of a prison and a doctor with an elitist mindset. While all of his cousins and brothers have become university professors, he is an exception in his family. His skills could not match his pride, and he always lagged behind his colleagues. Once as an intern, he put a patient in a vegetative state by mistake. Thanks to his father who pulled some strings for him, his license was not suspended. After the incident, he started working as a public health doctor at a prison, where he realizes that prison is the most lucrative spot in the country due to the fact that a diagnosis and a note from the chief medical officer are required in order for politicians and economic offenders to be granted stay of execution or medical treatment outside of the prison. Therefore, after completing three years as a public health doctor, he applies for the unpopular position of a chief medical officer. While everybody laughed at his failure as a doctor, he became the pioneer in the blue ocean. Using the connections with former presidents and millionaires, he builds his own kingdom inside the prison. Then one day, Na Ije to be his successor. This guy smells different, as he doesn't seem to be going for money nor success, which makes Minsik afraid. To protect his kingdom, Seon Minsik vows to destroy Na Ije with his family and life at stake. 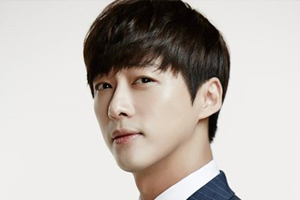 He is the executive director of Taegang Group, a giant conglomerate. He is the first son of the president of the group and half-brother of Lee Jaehwan. His mother became an alcoholic because of his father's womanizing. 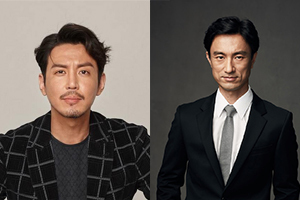 Ever since his mother committed suicide and his father's second wife, Mo Ira, and her children Lee Jaehwan and Lee Jaein took over the household, he has been honing the sword of revenge. While Jaehwan loses his father's faith by running into trouble all the time, Jaejun builds his father's trust by working up from the bottom. When Jaehwan is arrested and sentenced for 3 years, he makes a move to secure his position as the successor. 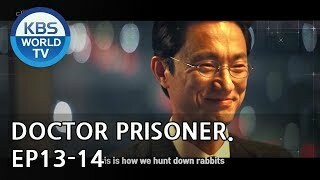 To prevent Jaehwan from being granted a stay of execution, he sends Na Ije as the chief medical officer of the prison. He never knew how that would backfire on him. 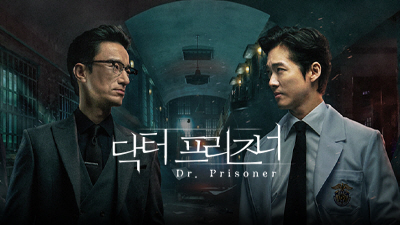 Press conference for medical suspense drama 'Doctor Prisoner'!